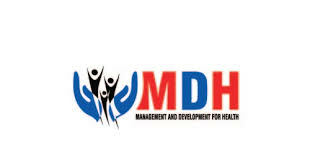 Management and Development for Health (MDH) is a non for profit organization in Tanzania contributing to address public health priorities. MDH works with the Ministry of Health, Community Development, Gender, Elderly and Children; as well as academic and non-academic institutions to address the problems of tuberculosis, malaria, HIV/AIDS, nutrition, maternal and child health and to undertake initiatives to advance public health research, education, and services for improving the lives of people. A HIV Testing counsellor requires extensive, current knowledge of HIV prevention measures. Testing counsellor must enjoy working with other people, have a compassionate nature and be a good listener. A broad knowledge of diverse culture beliefs and attitudes is often necessary when working with diverse population..
Qualification At least diploma in nursing, clinical medicine from a recognized institution, a candidate must have at least 2 years of experience. with a valid practice license. He/she is responsible to create awareness and education on the existence of HTS i.e. educating clients on all aspects of HIV diseases and treatment management as well as basic health lifestyles. To serve as liaison between clinicians/clinics, individuals screened and care centres. To provide on-going counselling and testing while maintain confidentiality and patient rights. Also to provide psychosocial support and visit with linkage to referral services. To assess, document all referrals, make follow-up and report on referral outcomes. To monitor the quality of test kits by the use of suitable control materials/samples from laboratory department. To ensure safe storage of HTS related items and to request/prepare all necessary consumables for undertaking the HTS activities on time. To work with team member to monitor quality improvement plans with regards to the established performance targets/indicators. Ensure HIV testing is performed according to the National HIV testing algorithm. To carry out any other duties that may be required by the clinical team.. Interested candidates should submit an application letter, a detailed copy of their CV, names and contact information (email addresses and telephone numbers) of three work related referees.